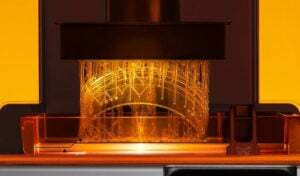 Often it is believed that personal FDM 3D printers are limited to only making smaller models, although companies are innovating towards offering machines that are larger than before. From the Duplicator 5S to Wanhao, discover our list of the TOP 10 largest FDM 3D printers that offer the largest print volume. 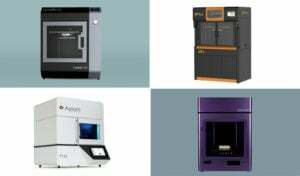 We analysed a variety of different fused deposition modeling 3D printers by many different brands to narrow it down. 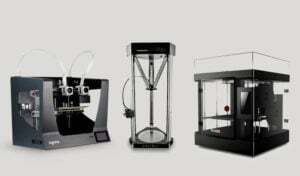 Since most FDM 3D printers have smaller print volumes there wasn’t as much variety as with 3D printer kits however. We came to an agreement over the 10 best XXL 3D printer and kits however to present to you today. 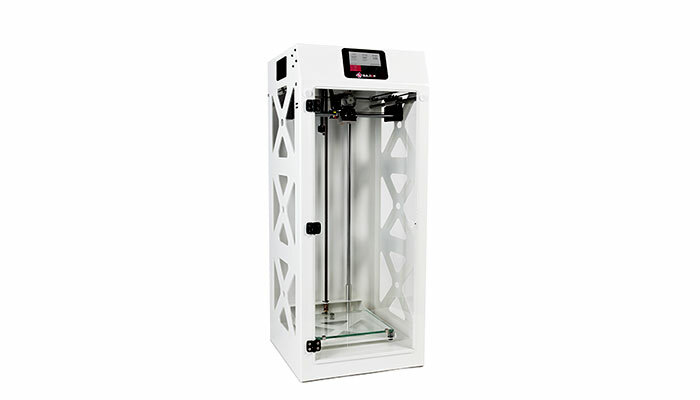 The Modix Big 60 V2 is a large volume professional FDM 3D printer made by the manufacturer from Israel, Modix. You can start with the Big 60 V2 and easily upgrade it to its even larger model, the 120 X. You can use it with a single or dual titan extruder which allows to print with two different materials at a time; materials include PLA, ABS and other plastics. 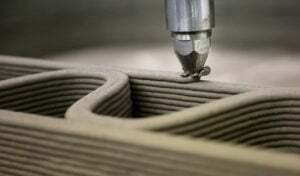 The Big 60 V2 has a heated print bed with a temperature up to 130°C and PEI print surface. It enables automatic levelling with 100 probing points and it also has an end-of-filament sensor. The printing volume of this machine is 600 x 600 x 600 mm. It is a customisable platform, you have the option of adding a closed enclosure to the machine. The base price of the Big 60 V2 is $ 3,500 + shipping, which you can shop HERE. 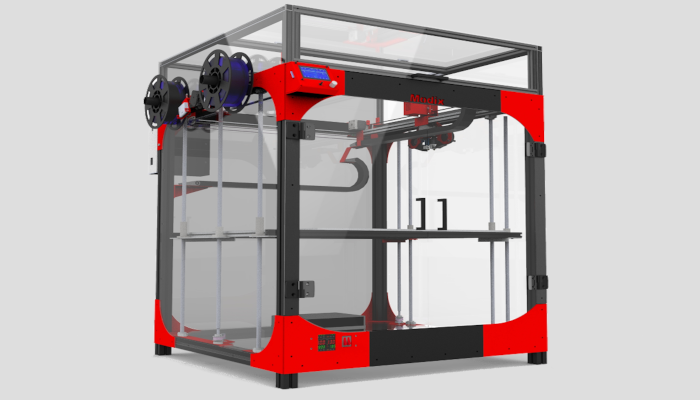 The Scalar XL Premium 40 is the successor to the Scalar XL Premium from 3D Modular Systems. The French manufacturer designs its 3D printers so that even old models can be supplemented with the help of an evolution kit. The new FDM machine has a print volume of 40 x 40 x 40 cm and enables printing with PLA and ABS. The LCD screen as well as the automatic alignment of the printing platform make handling easier for the user. 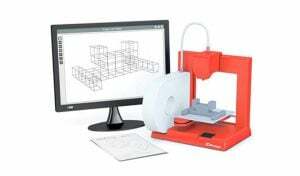 The 3D printer is currently available for a price of € 1,249.99 (ca. $1,440). 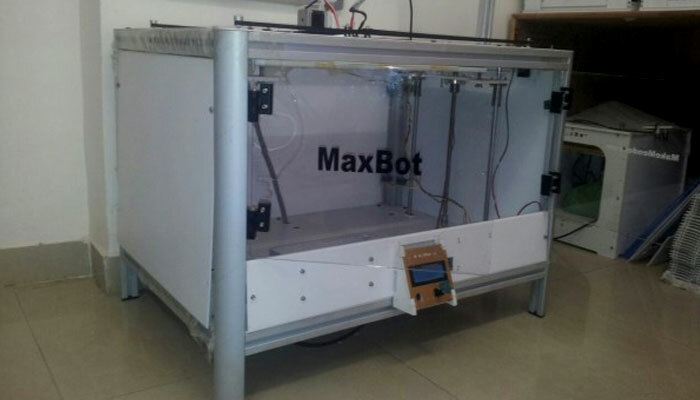 The MaxBot is a printer that is sold by the website MakeMendel and is supplied in kit form. This machine has a horizontal print volume of 600 x 300 x 300 mm and while it remains relatively limited in height, it does have an LCD screen, SD card reader, and it is automatically calibrated. At 80 kg, it is a heavy machine with layer resolution of 100 microns that is compatible with ABS and PLA. 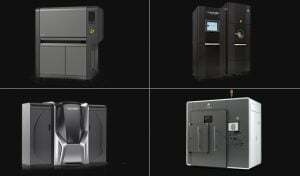 It goes for just $2,499 per MaxBot printer. 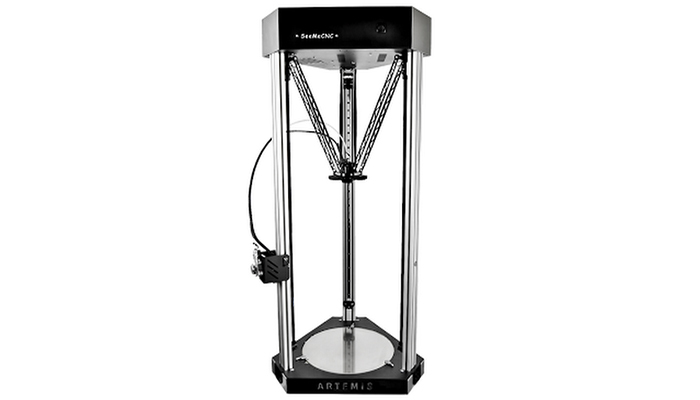 The ARTEMIS 300 ARP launched by SeeMeCNC based in Indiana, US, is a large volume desktop delta 3D printer. the “ARP” in the name is short for “Almost-Ready-to-Print”. As it come as a partial kit with most of the complicated parts are pre-assebled. The sizeable volume is 290 x 290 x 525 mm and has received various upgrades. With everything from an all new rigid metal frame to the fast heating AC 350W heated bed that can go to 120C°. The new Artimis is able to print up to 280C° allowing you to print with most available filaments, this covers PLA, ABS, other plastics etc. The device is currently available to a price of $1,999. 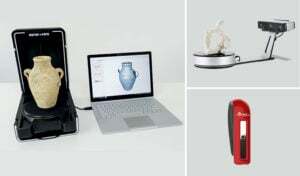 Although this brand is primarily aimed for professionals, the X3045 Duo is an affordable 3D FDM printer with a print volume of 300 x 300 x 450 mm. 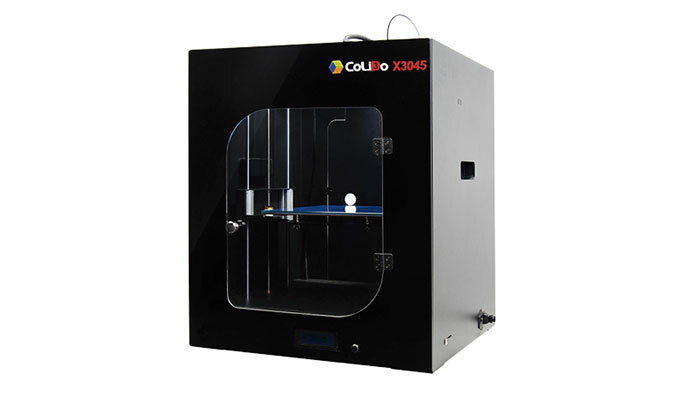 Marketed by the Chinese manufacturer CoLiDo at a price of $2,999 (£2,390), it is one of the newer XXL models that is equipped with a double extruder as well as a heated room for a higher quality impression. The manufacturers at Wanhao have brought us the Duplicator 5S which happens to be the highest 3D FDM printer within our Top 10, standing at 860 mm (34 in) high! With these large dimensions, it offers very nice volume for your printing needs at 305 x 205 x 575 mm. You can also buy this printer for almost $1,659 (£1,320), excluding shipping costs. Equipped with a single extruder and capable of printing in PLA, the Duplicator 5S allows for a printing speed capable of reaching 300mm/s. 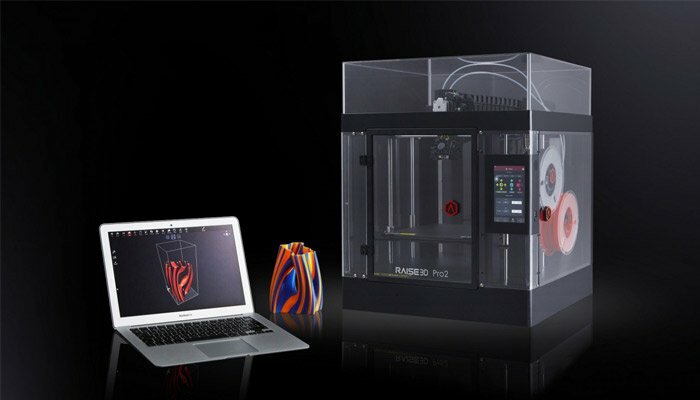 The Californian company Raise3D is a manufacturer of large format FDM printers and presents the Raise3D Pro2. With a big build volume of 305 x 305 x 300 mm it provides a large surface area to work on. The device is compatible with material up to 300℃ ranging covering everything from PLA, ABS and HIPS to Glass Fiber Enforced, Metal Particles Filled and Wood Filled and more. The dual extruder has electronic driven lifting allowing for 4x increase torque perfomance. The device is currently available for at a price of $3,999. The M300 Plus from the famous manufacturer Zortrax is an evolution of the M300; it has the same generous print volume of 300 x 300 x 300 mm but has significant improvements in its nozzle, extruder and cooling system. 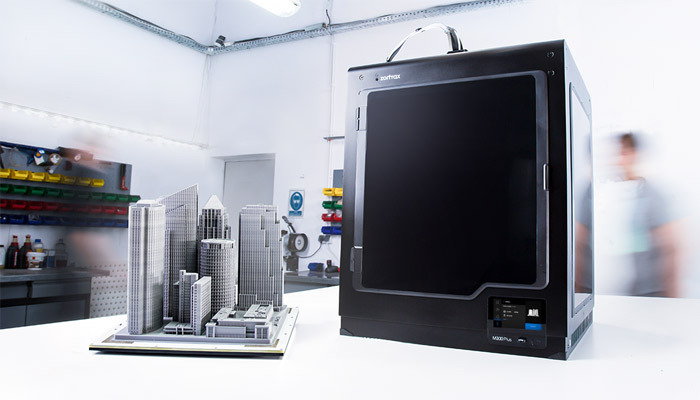 The large format 3D printer also has Ethernet and Wifi connectivity, a camera and a touch screen, making the printing process easier. Its closed chassis offers quality prints that are less prone to deformation. An optional lid is used to filter the particles and stabilise the temperature. It is now available from $4,760 (4163€). 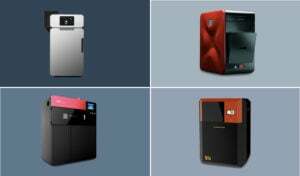 Builder 3D printers is a Dutch manufacturer specialized in the development of 3D printers of FDM technology for the industry and for the home. One of its outstanding developments is the Builder Premium Large, a printer with a print volume of 370 x 380 x 890 mm. Ideal for the manufacture of large objects in PLA. It has a double feed extruder, which allows you to mix colors or materials in the same print. This professional machine with touch screen, WiFi and a mobile application can be found for a price of € 3,750 (ca. $ 4,320). The Sigmax R19 3D printer from the Spanish manufacturer BCN3D offers a print volume of 420 x 297 x 210 mm and is equipped with two independent extruders. You can choose between the duplication mode that will allow you to print two pieces at the same time or the mirror mode that prints in 3D symmetrical models. 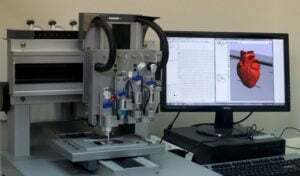 A machine that increases productivity while maintaining a certain quality – depending on the manufacturer, you can achieve an accuracy of up to 50 microns. 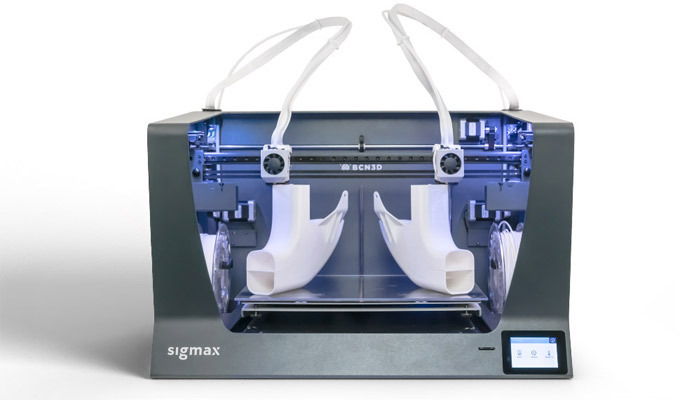 Finally, the Sigmax R19 incorporates end of filament detection and a touch screen that will facilitate the printing process for all users. It is available from $2,995. Lulzbot, an American brand based in Colorado, designed this 3D printer with a print volume large enough to allow you to print objects such as a basketball: 280mm x 280mm x 250mm. 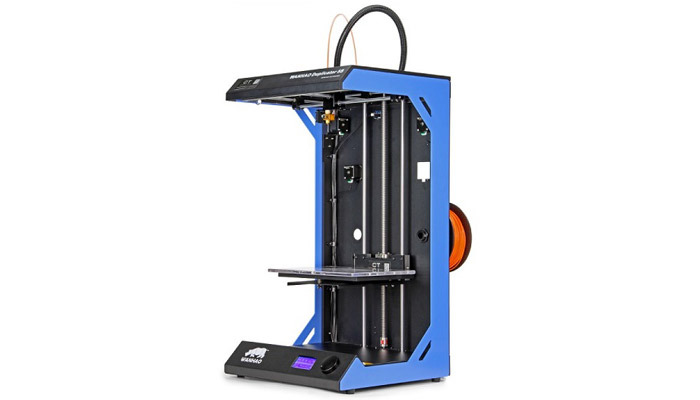 It is equipped with an automatic calibration system and even comes with a proprietary software called Wanhao maker. You can purchase this printer for a price of $2,500 (about £1,990), excluding shipping costs. 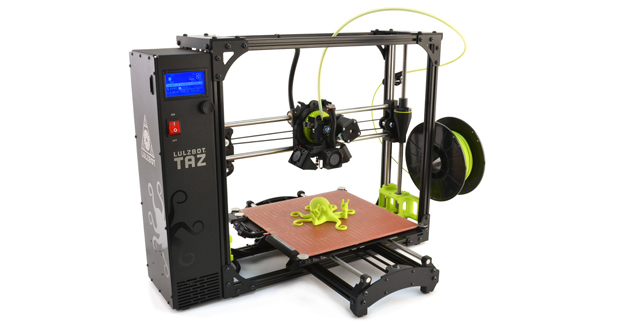 Compare the Lulzbot Taz 6 in our Comparator tool here. 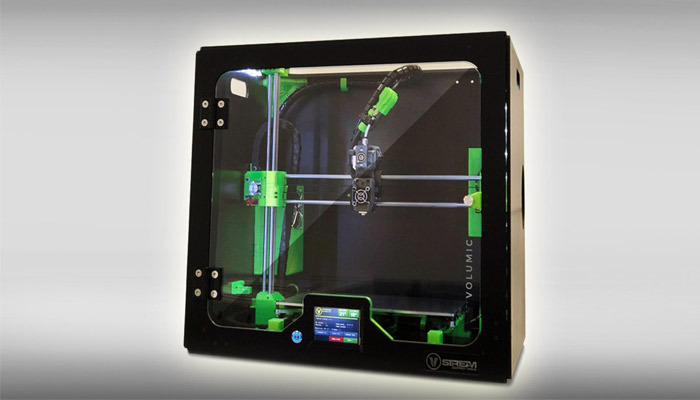 The Stream 30 Pro MK2 is a 100% French 3D printer designed by Volumic. The FDM machine offers a print volume of 300 x 200 x 300 mm and is available from € 4 188 (ca. $ 4,824). With its heating plate that can reach 300 ° C, it is compatible with a wide range of plastic materials, from PLA to PET but also ABS and Nylon. 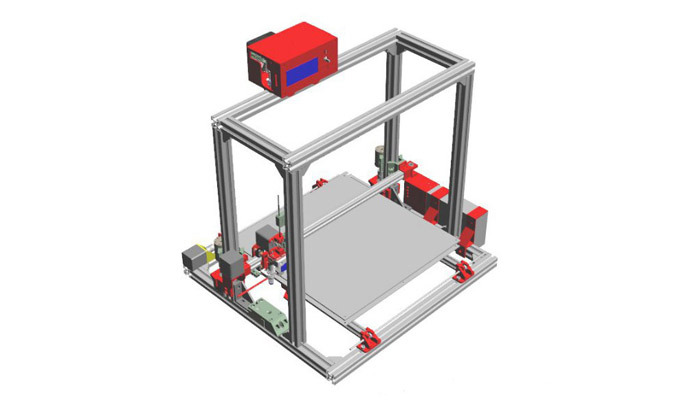 The 3D printer incorporates a large color touch screen and a filter hood to ensure easy printing. The Ultimaker 2 Extended+ was developed by the Dutch company Ultimaker and has the largest volume out of their models. With a maximum volume of 223 x 223 x 305 mm, it is marketed at a price of $2,999 USD (about £2,390) and works with PLA, ABS and Nylon. For more proof of its quality, Apple has integrated the brand Ultimaker within their online store. 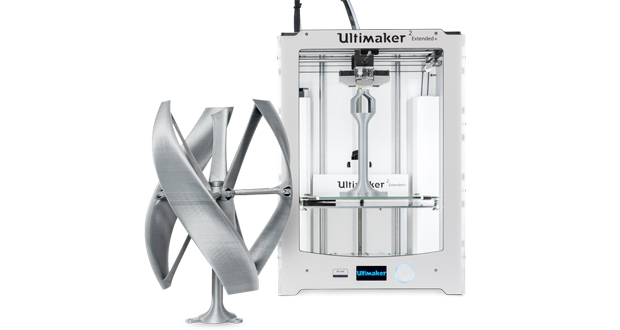 Compare the Ultimaker 2 Extended + in our Comparator here. 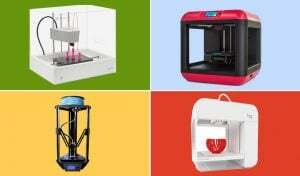 Did this list of the best XXL 3D printers help? Let us know in a comment below or on our Facebook and Twitter pages! Don’t forget to sign up for our free weekly Newsletter, with all the latest news in 3D printing delivered straight to your inbox!